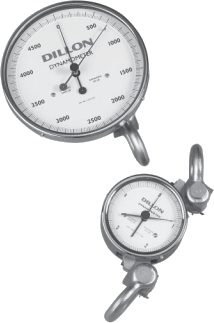 5″ (125 mm) diameter AP dynamometer includes a rugged ABS plastic carry case with die-cut foam inserts. Capacities of 30,000 lb (15,000 kg) and above are shipped in a heavy-duty reinforced plywood crate. 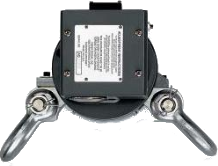 An optional steel carry case is available for 10″ (250 mm) diameter dynamometers up to 20,000 lb (10,000 kg) capacity. 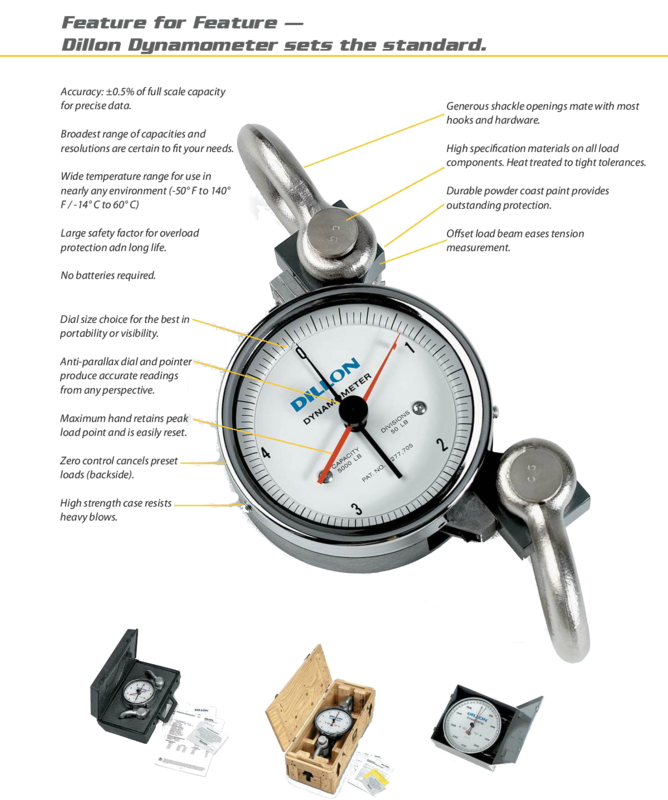 The standard zero position is 9 o’clock for both the 5″ and 10″ dial sizes. 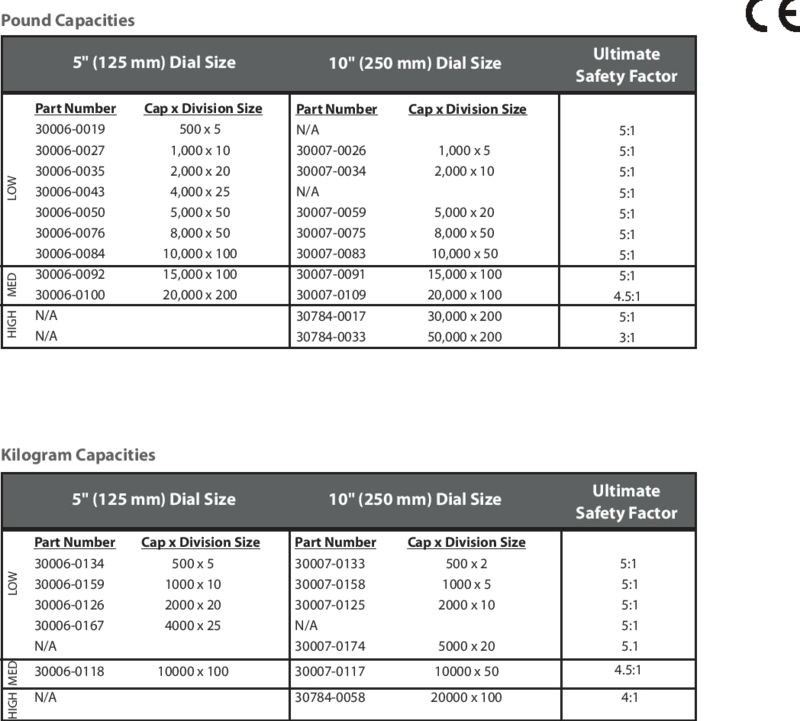 Capacities up to 20,000 lb can be supplied with the zero at 12, 3 or 6. Photo shows a nonstandard position of 12 o’clock. Mounted on rear of the Dynamometer and sounds an alarm at a preset load point. 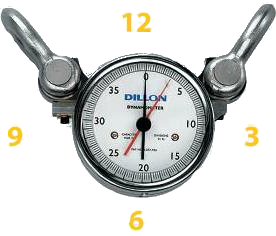 Dillon also manufactures electronic dynamometers and quick-attach tension meters. 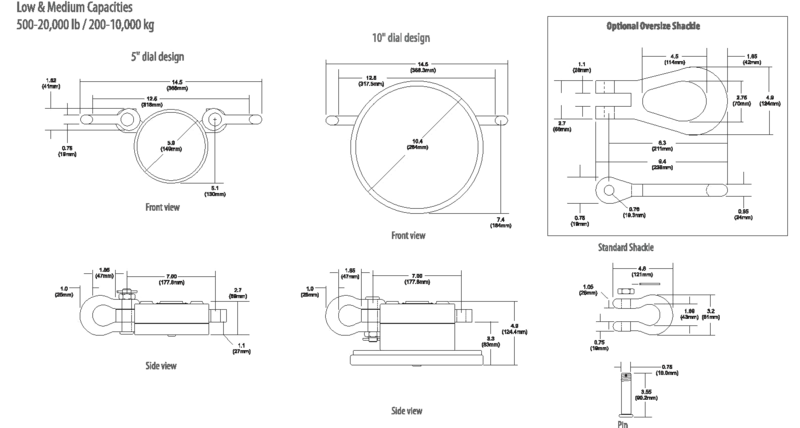 integral machining and fasteners are produced from non corrosive materials or have suitable plating.